Who's leading the MVP race at the halfway point? Can anyone challenge Ben Simmons for Rookie of the Year? And what about Most Improved? The Crossover's experts dish their midseason picks. The NBA season is just past its halfway point, but it feels like we've already seen a year's worth of shenanigans, from LaVar Ball trying to hijack the Lakers to the Rockets trying to storm the Clippers' locker room like the beaches of Normandy. Of course, it's the action on the court that's been most memorable. Between Lou Williams turning into an All-Star and LeBron James rediscovering his youth, there has been no shortage of excellence to sort through on the hardwood. With every team now on the back nine of its schedule, there's no better time than no to recognize that excellence with some midseason hardware. Who deserves MVP? Is the Rookie of the Year race over? And what about Most Improved? The Crossover's NBA experts dish their picks. Ben Golliver: LeBron James, Cavs. For now, the answer is James, who has survived a truly blood war of attrition that has weakened the candidacies of potential contenders like James Harden, Stephen Curry and Kawhi Leonard, among others. 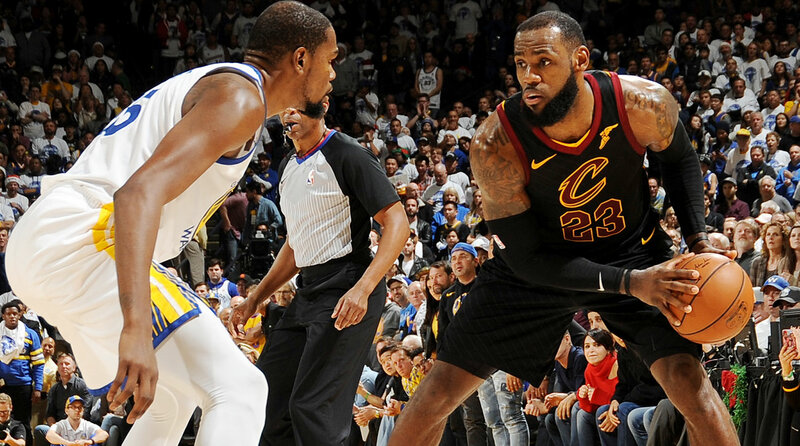 Although Cleveland has lacked an imposing defense (or any defense, really) and night-to-night stability, James individually has been as electric and formidable as ever. He hasn’t missed a game, he’s among the league leaders in minutes, and he’s near the top of the leaderboard in the major advanced stats (No. 2 in PER, third in Win Shares, No. 8 in Real Plus Minus). From an historical standpoint, James is also tracking toward the first 27 PPG/8 RPG/8 APG season of his career, which would place him in select company with the likes of Michael Jordan, Russell Westbrook and Harden in the modern era. This race is far from over, though: Harden has returned from a hamstring injury and could retake his early lead, while Kevin Durant lurks as a dark horse because he’s enjoying the most complete season of his career for the league’s most dominant team. Andrew Sharp: VACANT. This is a cop-out, but it's also a celebration. Two weeks ago if you'd asked me to pick an MVP for this season, I would've bet my entire bank account on LeBron. Two weeks before that, I would have done the same thing with James Harden. Somewhere in the middle of that stretch, in late December, I argued that Jimmy Butler belonged in every MVP conversation. And all the while, the Warriors have been dominating with Steph Curry and Kevin Durant, while Giannis Antetokounmpo is putting up ungodly numbers for the Bucks. Throw in Kyrie Irving and DeMar DeRozan as longshots from the two best teams in the East right now, and the field is fairly crowded. It's also wide open. LeBron is technically still the favorite, and if the Cavs can shore up their defense, he will probably win. But at the moment it seems more likely that we see another midseason swoon from Cleveland, in which the Cavs sleepwalk through six weeks without playing defense. Then we're back to square one. I know these awards are supposed to be based on the first half of the season—the rest of picks will follow that format!—but this category is an excuse to consider the bigger picture. And again, it's a reason to celebrate. We are halfway through the regular season, and I have absolutely no idea who will win MVP. Rob Mahoney: James Harden, Rockets. There may come a time when Harden’s games missed to injury will drag him down in the MVP race, but to this point the other candidates have simply been too accommodating. LeBron James, another popular choice for the award, captains one of the most frustrating teams in the league. Other contenders have missed about as much time as Harden, failed to produce to the same ridiculous extent, or lost too many games thus far to be realistically eligible. Harden deserves this. It would be nice if he were healthy enough to claim it outright, though for now he’ll slot in as the favorite by default. Jeremy Woo: LeBron James, Cavs. At age 33, LeBron’s having one of his best seasons ever and dragging the Cavs toward the playoffs yet again. Cleveland hasn’t been the NBA’s best team, but James remains its best player. It’s his best scoring season since 2010, his third-best shooting year ever, and he’s averaging eight rebounds and a career high 8.8 assists. James Harden is again a quality candidate, but the presence of Chris Paul has been a factor in Houston’s improvement and in my mind has a bit of a Warriors effect when it comes to mental vote-splitting. Because these are unscientific fake awards, here’s to LeBron. Rohan Nadkarni: LeBron James, Cavs. James Harden was the frontrunner for this award until he missed two weeks due to injury, but I think James has a strong case either way. At some point, how does the consensus best basketball player in the world keep getting denied the MVP award? The Cavs’ struggles and putrid defense hurt James’s case, but that team would fall apart without him. The relevant stats are there—27 points, 8 rebounds and 8.7 assists per game, a 63.4% true shooting percentage, and one tweet calling the president a bum. LeBron, at 33, is still the most feared player in the NBA. DeAntae Prince: Kevin Durant, Warriors. James Harden produces better numbers in Houston. LeBron James carries a heavier load in Cleveland. Sure, these things are true, but Kevin Durant is simply playing great basketball for the NBA’s best team in Golden State. We all tend to overthink award season at times. Right now, though, Durant is seamlessly fitting into the world-beating Warriors while averaging 26.2 points, 6.9 rebounds and 5.4 assists. All indications suggest the Warriors will cruise through this season and stand alone as the NBA’s top franchise. The gap between Golden State and Cleveland widens every day, and Durant’s otherworldly talent is the reason for that, as was clear in last year’s NBA Finals. He’s now further ingratiated within the Warriors’ system and figures to only get better from here. Golliver: Ben Simmons, Sixers. The “Build players up only to tear them down” cycle has been running in overdrive this season, with Simmons as its latest victim. Yes, Philly’s do-everything point forward saw his scoring dip in December, allowing Utah’s Donovan Mitchell to move past him as the top rookie scorer. Yes, he finds life much more difficult when Joel Embiid is out injured. And, yes, he still doesn’t have a jump shot. Regardless, Simmons has been a revelation, appearing at or near the top of his class in minutes, points, assists, rebounds, steals, blocks, Player Efficiency Rating and Win Shares. From a durability and impact standpoint, Simmons has missed just one game and posted a +2.0 net rating for a Sixers team that is above .500 and in the East’s playoff picture. The last player to match Simmons’ 16.8 PPG / 8 RPG/ 7.3 APG stat line at age-21 or younger? Magic Johnson in 1981. The Ben Backlash needs to stop. Mahoney: Ben Simmons, Sixers. The case for Simmons is complicated, though it all comes back to this: His very presence forces opponents out of their comfort zone. Few teams come adequately prepared to defend a 6-10 point guard with a baby hook shot, much less one who sees the floor as clearly as Simmons does. That means that matchups are scrambled, defensive concepts are compromised, and every opponent has to dedicate mental energy to contain Simmons. The fact that he has no jump shot whatsoever makes it possible, but not without deliberate gameplanning—an impressive feat for a rookie. Note that to even “contain” Simmons, in this case, is relative; his averages of 16.6 points, 7.2 assists, 8.0 rebounds, 1.9 steals, and 1.0 blocks per game have never been matched in NBA history. Woo: Ben Simmons, Sixers. Doubling down on my pre-season pick, here. How bold. Simmons’s counting stats are there, the Sixers are around .500 (and making some big-picture progress), and even though he’s a redshirt rookie, he’s really the most sensible pick here. Donovan Mitchell is fun, and Jayson Tatum has been hyper-efficient. They’ve all exceeded expectations. But Mitchell has been afforded every shot he wants, and Tatum has been a supporting player (albeit an excellent one). The Sixers have been with and without Joel Embiid and leaned on Simmons as the nightly workhorse, and Simmons has been up for it. It’s not often you find a 21-year-old who’s a triple-double threat every night, bottom line. Nadkarni: Donovan Mitchell, Jazz. There’s some recency bias here, sure, but Mitchell has the edge over Ben Simmons and Jayson Tatum for me for one big reason: role. Mitchell, a pick at the bottom of the lottery, has been asked to carry the Jazz offensively way earlier in his career than anyone expected. Simmons and Tatum are having great seasons, but are greatly aided by those around them. 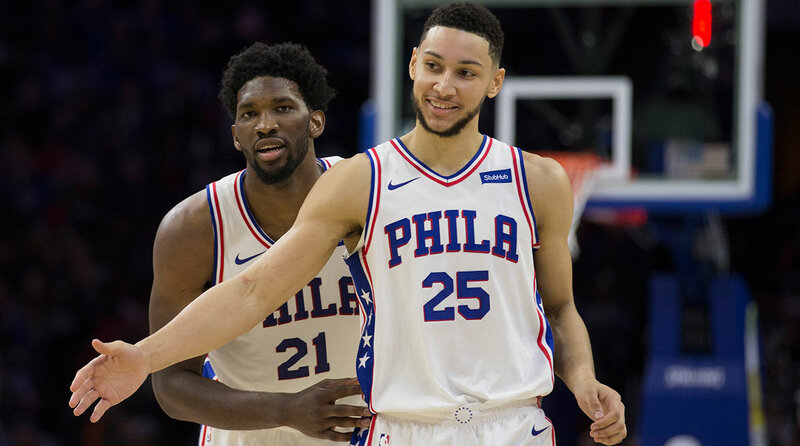 I don’t like giving the award to redshirt rookies, and Simmons’s splits when he’s playing with or without Joel Embiid take away a little bit of his shine. Tatum, who Boston fans would like to remind you is only 19, is feeding off two All-Stars in Kyrie Irving and Al Horford. If you switched Tatum and Mitchell, wouldn’t Mitchell also thrive as a third or fourth option? So I’m going with Donovan, who is keeping the Jazz competitive, and more importantly, routinely throwing down awesome dunks. Damn, I love dunks. Prince: Ben Simmons, Sixers. We rarely see NBA rookies like Ben Simmons. So much of ‘The Process’ coming to fruition counted on him playing the point guard position and taking on the brunt of the team’s offensive creation from the first day of his NBA career. Simmons never skipped a beat at any point this season, blending perfectly with Joel Embiid and punishing offenses at the rim. Simmons, who flirts with a triple-double every night, will be yet another player to sit out a season only to return and win Rookie to the Year, a la Blake Griffin. Golliver: Al Horford, Celtics. Much like the MVP race, the Defensive Player of the Year race is less compelling than it should be given the absence of premier candidates like San Antonio’s Kawhi Leonard and Utah’s Rudy Gobert. With Golden State’s defense slipping from its peak stinginess in recent years, the door opens for Horford, who has been the most important player on the NBA’s top defense. Horford might not be as frenetic as Draymond Green or as imposing as Joel Embiid, but he’s been versatile, intelligent and dependable for a Celtics team whose roster is filled with young players and new faces. This race will remain wide open all season: Green, Kevin Durant, and Oklahoma City’s wing duo of Paul George and Andre Roberson should all be in the mix. Sharp: Al Horfod, Celtics. I have no idea how the Celtics still have the No. 1 defense in the league. There are a few decent explanations—length, athleticism, switchable defenders, good coaching—but they remain one of the youngest teams in basketball. When Boston began the season as the hottest team in the league, the one trend that was definitely supposed to fade was the elite defense. But it hasn't, and Horford deserves a ton of credit for keeping things together as the cornerstone. In a year with no Kawhi, no Gobert, it's between Horford and Draymond Green. Who knows how that race will finish, but halfway through the year, I will go with the player who's still at No. 1. Mahoney: Draymond Green, Warriors. Al Horford would also be a worthy choice here, though ultimately I sided with the player whose surroundings have proven…less reliable. Years of record-chasing and championship runs have taught Golden State not to take the regular season too seriously. You see this most in their commitment to defense; the focus and intelligence that made the Warriors so special in coverage have fallen away, leaving behind an incredibly capable team that doesn’t always choose to play that way. Green is the exception, and his performance on that end of the floor brings a redeeming cohesion to the fourth-best defense in the league. 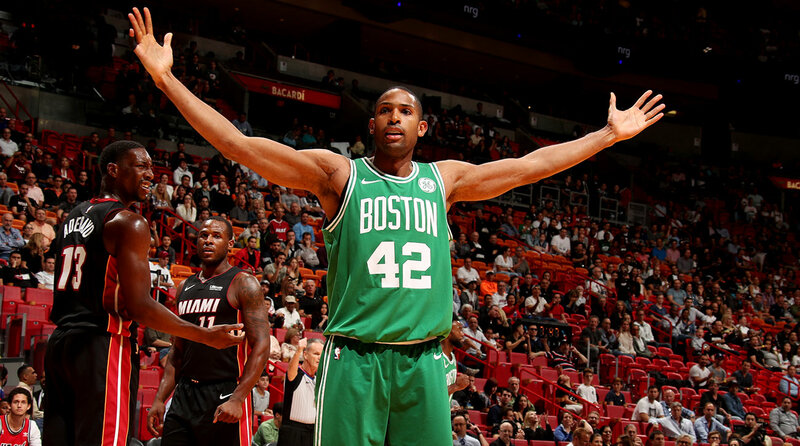 Woo: Al Horford, Celtics. There aren’t any perfect candidates here, so let‘s honor the guy anchoring the league’s most efficient defense. You’ll find a slew of Celtics atop the league leaders in individual defensive rating, and while that speaks to the strength of the scheme, Horford has often been the man at the center of it all, tasked with communicating from the back and understanding what’s happening at all times. This has all come after the departures of Avery Bradley and Jae Crowder. He’s not a box-score hero which might make his candidacy difficult, but he deserves some credit for what the Celtics have accomplished. Nadkarni: Al Horfod, Celtics. The Celtics’ offense is average at best. Their defense is best in the league. That’s what is winning them games, and that starts with Horford. Boston’s starting center is adept at both defending the paint and switching onto smaller players on the perimeter. Opponents are shooting only 57.4% within five feet of the hoop with Horford defending, which is worse than what opponents shoot against DeAndre Jordan, Anthony Davis, Dwight Howard and many more. Draymond Green may have a chance to catch up in the second half, but for now, this is Horford’s award to lose. Prince: Al Horford, Celtics. The Boston Celtics have surprised this season with new parts and young players, shooting to the top of the Eastern Conference. They have done that on the strength of their defense. All over the court, they have players who are tough to score against, with Marcus Smart, Jayson Tatum and Jaylen Brown. Al Horford sits at the center of that league-leading defense, pulling the strings and helping seal the openings from the backline. That Boston can play on such a string is a testament to Horford, who seldom receives the credit he deserves. Golliver: Lou Williams, Clippers. Sweet Lou isn’t just having a career year at age 31, he’s in the mix for some truly unusual awards and honors. Although he’s moved into LA’s starting lineup in recent weeks, Williams still qualifies as a Sixth Man of the Year candidate because he’s come off the bench for more games (30) than he’s started (13). If he remains SMOY eligible and maintains his current 23.2 PPG scoring average, he would surpass Bucks guard Ricky Pierce as the highest-scoring SMOY in NBA history. What’s more, Williams has a legit chance at earning a reserve spot on the West’s All-Star team. If he makes it, he would become the first All-Star since Kobe Bryant in 1998 to appear in more than 50 games while making fewer than 20 starts. As long as he remains eligible, this award should be his given his exceptional efforts keeping the Clippers afloat during a string of injuries to Blake Griffin, Patrick Beverley, Austin Rivers and Danilo Gallinari. We can't let anyone else win this award. Mahoney: Lou Williams, Clippers. This goes beyond the tired trend of awarding Sixth Man to whichever sub scores more than the others. As far as I can tell, Williams is on pace to be the highest-scoring bench player in NBA history. His play is a propulsive influence behind the injury-dinged Clippers’ ongoing survival, not to mention their improbable standing at (No. 8) in the Western Conference. Williams has always been good at what he does (get buckets, draw fouls, make plays), but he’s never been better. Woo: Eric Gordon, Rockets. OK, so Gordon has been filling in the starting lineup as Chris Paul and James Harden have missed time. But there’s not a more potent primarily-bench scorer in the league (with Lou Williams shifting to the starting five). The Rockets have hit the high end of their potential right away, and having Gordon to space the floor at all times is a major reason why. He’s actually shooting just under 34% from three, but still averaging 19 points. It’s the threat of his presence that opens things up for that offense. Nadkarni: Lou Williams, Clippers. Lou has started only 13 of the Clippers’ 43 games entering Jan. 19, so I think he still qualifies as a sixth man? Maybe he’ll start too many games by season’s end, but Williams easily deserves this award right now. A man once known for having two girlfriends has practically turned into Kyrie Irving on offense. Entering this season, the Clippers hadn’t beaten the Warriors since Christmas 2014. With no Blake Griffin (or Chris Paul), Lou dropped a casual 50 points in an L.A. win in Golden State. Williams is averaging more points per game than Jimmy Butler, C.J. McCollum, John Wall, Paul George and a bunch of other ridiculous names. The Clippers have no business being as good as they are in the West—Williams is a huge reason why. Prince: Lou Williams, Clippers. 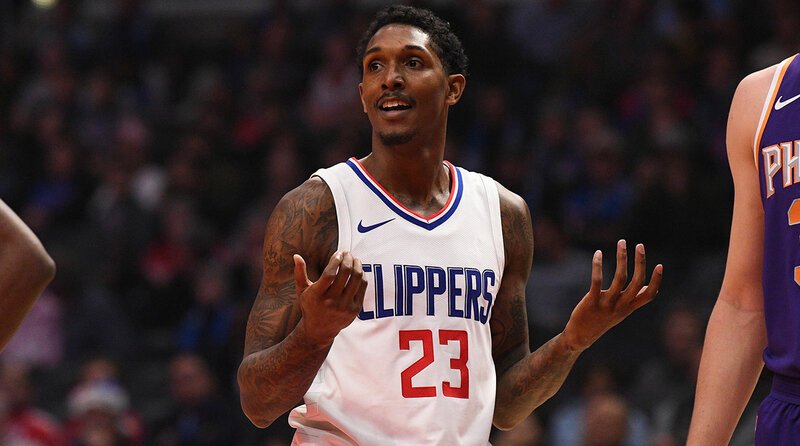 Like Jamal Crawford who came before him, Lou Williams is a career sixth man who simply gets buckets—and he has been for more than a decade. The difference this year is that the fate of a team has been placed in his hands. Sure, it was handed over by default, but he has handled it with care and produced like an All-Star. Chris Paul’s joke about Williams being the go-to guy was probably meant to sting Blake Griffin, but the fact that he even thought to say it is proof of the type of year Williams is having. Golliver: Kristaps Porzingis, Knicks. Porzingis was so superhuman to begin the season that his steady statistical regression over the last six weeks has naturally been deflating. Don’t get sucked into the handwringing whirlpool. 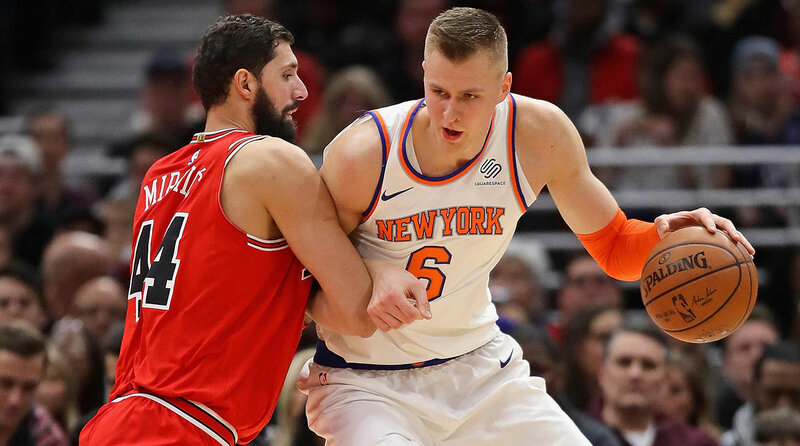 Porzingis has been a clear plus on both offense and defense for the Knicks, ramping up as a lead scorer in Carmelo Anthony’s absence while also emerging as the NBA’s leading shot-blocker at age 22. For context, the only big men during the three-point era to match Porzingis’s 23.6 PPG/ 6.9 RPG/2.4 BPG stat line at age-22 or younger are Shaquille O’Neal and Anthony Davis. That’s pretty, pretty, pretty elite company. The scary thing for the rest of the league is that Porzingis can still improve in so many different aspects: his reading of defenses, shot selection, and playmaking for others are all works in development. Just as Giannis Antetokounmpo has been a plausible Most Improved Player candidate for the last three years in a row, Porzingis may very well find himself back in this discussion next year. This much is certain: He should be selected as an East All-Star reserve later this month. Sharp: Victor Oladipo, Pacers. This award gives voters trouble most years. The criteria is nebulous and there are a dozen different players who "improve" at various levels of the league, so you can take this one in a bunch of different directions. All of which is to say, Victor Oladipo has made it much easier in 2018. He was invisible at the end of last year's playoffs, he was disappointing during his time in Orlando, and now ... Oladipo was very nearly an All-Star starter. If he'd made it, no one would've questioned whether he deserved it. His success in Indiana remains one of the wildest stories of the season, he's carried the Pacers into the thick of the playoff race, and all of this is exactly the sort of performance this award was invented to recognize. Mahoney: Victor Oladipo, Pacers. I’m gobsmacked. Oladipo played the first four years of his NBA career in a certain style and to a certain standard. Then, in his fifth, he completely changed the trajectory of his career. A perpetual underwhelmer is now on the cusp of his first ever All-Star selection. The new opportunity he’s found in Indiana is almost incidental relative to the way Oladipo has remade his body and altered his game. Woo: Victor Oladipo, Pacers. Although some of Oladipo’s breakout has been due to a massive situational improvement, he’s inarguably taken a huge step forward as a scorer, emerging as a capable anchor for a team in playoff position (and making the Paul George trade look pretty smart, all things considered). 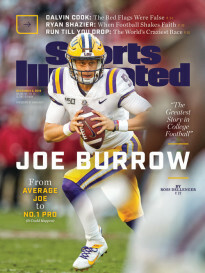 He’s more confident than ever, posting career highs in shot attempts, field–goal percentage and three-point shooting, rebounding, steals and points. Oladipo’s still only 25! Honorable mention to Spencer Dinwiddie, but Oladipo’s uptick can’t be ignored here. Nadkarni: Victor Oladipo, Pacers. The Pacers have the sixth-best offense in the NBA, better than the Pelicans, Spurs, Nuggets, Thunder and a bunch of other teams with well-known stars. But on the back of Oladipo, the Pacers have been the biggest surprise team in the league. Given full space to thrive, Oladipo is averaging career highs in field-goal percentage, three-point percentage, rebounds, blocks, steals and points. His net rating is +14.6. Basically, when Oladipo is on the court, the Pacers play like the Houston Rockets. When he’s off the court, Indy plays like the second-worst team in the league. No one imagined Oladipo having that kind of impact this season, and he should run away with this award. Prince: Victor Oladipo, Pacers. Before the start of the 2017-18 NBA season, we parsed through teams and decided which franchises would land at the bottom of the standings. The Hawks, Nets and Bulls were obvious choices, and, at the time, the Pacers felt like they belonged in that company. Victor Oladipo alone changed Indiana’s destination. His transformation from Russell Westbrook’s sidekick to the Pacers’ leading man happened seamlessly. An IU alum playing in front of his home fans, Oladipo looks more comfortable now than he has at any point in his NBA season. The end result will be an All-Star season and a Most Improved Player award. Golliver: Brad Stevens, Celtics. Making the Coach of the Year case for anyone besides Stevens is far more difficult than making the case for him. He simply checks every box: The Celtics are winning, they play with consistent energy, they play disciplined defense, they receive steady contributions from stars and role players alike, they didn’t collapse when Gordon Hayward was lost on opening night, and they have a sterling 20-8 record in games that are within five points or fewer in the last five minutes. As a steady, meticulous and erudite communicator, Stevens’s fingerprints can be found on all of Boston’s achievements. 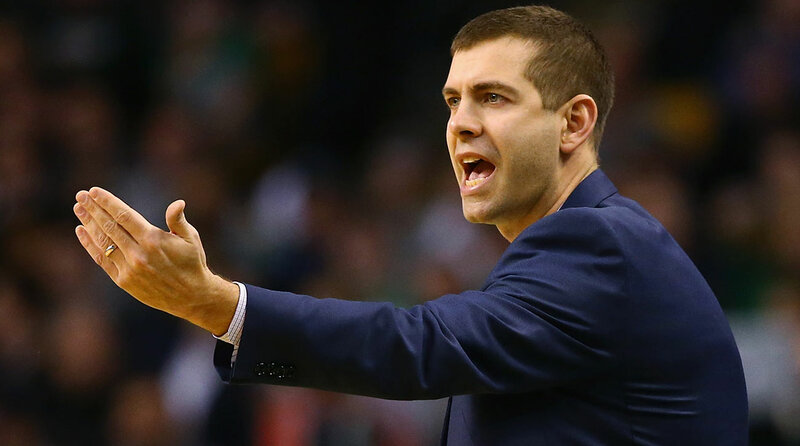 Sharp: Brad Stevens, Celtics. The Celtics are still in first place, the defense is still elite, and a season that looked lost on opening night has instead left Celtics haters extremely upset for months. Brad Stevens has been the coach of the year for many reasons, but mostly because his pedagogy is dope. How would you describe your pedagogy? Mahoney: Gregg Popovich, Spurs. This award—more than any other—dovetails with narrative. Popovich doesn’t have that on his side, but why should that get in the way of the NBA’s best year-over-year coach? San Antonio has gotten nine games out of Kawhi Leonard this season and fewer than 500 minutes from Tony Parker. Rudy Gay and Danny Green have each missed about a fourth of the season to date. And still the Spurs sit pretty with the third best record in the West and the fifth best record in the league. LaMarcus Aldridge went to Popovich to be traded. He wound up staying, signing a contract extension, and playing the best basketball of his career. Give this thing to the coach holding his team together in the absence of a legitimate MVP candidate. Woo: Brad Stevens, Celtics. Stevens was a good bet for this award even before Gordon Hayward’s grueling injury led to an instant gut-check for his team and massive roles for several young players who've stepped up admirably. The Celtics have pulled together after big changes to the locker room and rotation and sit atop the East despite it all. Sometimes Stevens can get a little too much credit from the media, but this one is a bit of a no-brainer to me. Nadkarni: Erik Spoelstra, Heat. I don’t understand how anyone else wins this award. With no All-Stars and a slew of injuries (each one of Miami’s five projected starters headed into this year have missed chunks of time), the Heat are fourth in the East, ahead of Wall’s Wizards and Antetokounmpo’s Bucks. The Heat have no business being only one game behind the Cavaliers for third in the East, but Spoelstra is finding ways to mix-and-match his roster to gut out wins every night. The Heat are 19–8 in clutch games, Wayne Ellington has turned into Ray Allen 2.0, and Kelly Olynyk and James Johnson are screening defenses to death, all of which can be traced back to Spo’s genius. Miami has road wins over Boston, Washington, Toronto, Milwaukee and Indiana, and the Heat are looking stronger as the season rolls on. 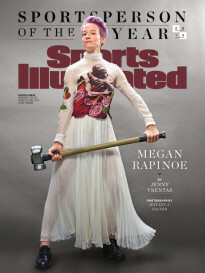 Spare me your other picks for this award. The Coach of the Year is Erik Spoelstra and it’s not even close. Prince: Gregg Popovich, Spurs. With Kawhi Leonard out indefinitely, the Spurs' offense now runs through LaMarcus Aldridge and counts on outside shots from Patty Mills, Danny Green and Pau Gasol to stay afloat. When broken down in those terms, it’s becomes amazing that the Spurs are still contenders in the superteam era. San Antonio is holding strong behind the Warriors and Rockets, with star-laden teams like Minnesota and Oklahoma City behind it. The key to that success is yet another masterpiece from Popovich, who does more with less every year. He can make amends with LaMarcus Aldridge, bring Dejounte Murray along while sending Tony Parker off and keep veterans like Pau Gasol engaged all at once.